What is ultrasound? Ultrasound machines use mechanical vibrations at increasing frequencies which is known as sound energy. The sound waves are too high for the human ear to hear. These ultrasound waves travel from the device through the skin and into the body. Gel is used between the sound head of the ultrasound machine and the skin to help the sound waves enter your body. How does ultrasound work? Ultrasound waves produce energy from the vibrations which creates the effect of deep heat in your muscles and joints. The deep heat of ultrasound increases the blood flow to the area being treated. This blood brings nutrients and carries away waste. 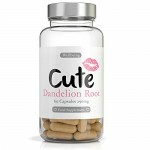 This helps to promote healing and decreases swelling. The heat produced can also help muscles to relax which has a therapeutic effect. The HT 905 Ultrasound Device can help to: Relieve pain in muscle and joints Relieve muscle spasms and joint contractions Help reduce swelling Promote healing in injured tissues Relieve tightness in the body tissues Prepare the muscle or joint for stretching or exercise The Homecare Ultrasound Unit is a medical grade device which produces ultrasound energy at a rate of 1MHz and which is capable of producing therapeutic healing. N.B. Ultrasound is not recommended for people with malignancies or plastic joint implants What should I expect? Ultrasound feels warm, but should not feel hot or uncomfortable. Continuous use is not advised for more than 20 minutes As this therapy penetrates deep into the muscles and tissues, you would not normally expect to feel any sensation similar to Tens therapy during this treatment.